In the world of property there is an overwhelming array of acronyms and specialist terminology used. The following jargon buster describes in simple layperson terms, the meaning behind the lingo. Abandonment - Abandonment is when a tenant leaves the property (usually without notifying the landlord or agent) before the tenancy has ended. Very often this occurs when the tenant owes rent and the tenant may or may not leave possessions in the property. Although the tenant is in the wrong for many reasons, they still have a legal tenancy and can return and demand to take up residence at any time, despite not paying rent. Taking over an abandoned property is fraught with difficulties for the landlord and specialist advice should be sought. Advance - A mortgage loan - an additional loan is referred to as a further advance. Adverse Credit - Used to apply to a borrower or application that has past problems with bad credit, for instance frequent late payment, breached arrangement, bankruptcy or County Court Judgement. APR (Annual Percentage Rate) - The total cost of a loan, including interest charges and product fees, shown as a percentage rate. The calculation assumes that you maintain the mortgage for the full term. APR is an industry standard calculation and enables direct comparison of mortgages from all lenders. Arrears - Money unpaid by the tenant in whole or in part after the due date specified in the tenancy agreement. When a tenant is more than 2 months in arrears, the landlord has grounds to seek possession. Assured Shorthold Tenancy - A tenancy agreement is a legal contract between landlord and tenant. The agreement contains the terms and conditions of a tenancy, such as the duration of the agreement and the rental amount payable by the tenant. It is the most common type of tenancy in the rental private sector. Architects Certificate - A certificate provided by an architect, which confirms their overseeing of the construction of a building. Building societies are unlikely to lend on a new-build house in the absence of either an architect’s certificate or an NHBC warranty or equivalent. Arrangement fee - The cost that a lender applies to secure a product. Assignment - The transfer of ownership of an insurance policy or a lease. Balance Outstanding - The amount of loan owed at a particular time. Bank of England Base Rate - The Bank of England sets a rate each month known as the 'Base Rate'. Banks and Building Societies use the Base Rate to set the interest rates they pay on deposits, or charge on debts. Betterment – The Law does not allow for betterment which means a Landlord cannot expect to have old replaced with new at the tenant’s expense or charge cleaning costs for that are already soiled at the start of the tenancy. An allowance must be made for depreciation and fair wear and tear. Bridging Loan / Bridging Finance - A temporary loan advanced to help somebody buy a new property before they have sold their existing one. Beware - it can prove very expensive in an uncertain market. Buildings Insurance - Buildings insurance covers loss or damage to the physical structure of your home, for example, the roof, walls and floors. The value of your buildings insurance will be less than the value of your home as it is the cost to rebuild alone, not the cost of purchase. Building Regulations - The health and safety requirements that any new construction must meet. Building Society - A mutual institution owned by its investors and borrowers that provides a range of savings and mortgages. Buy to Let - Is an income-producing residential investment, with the potential for making a capital gain when the property is sold. The key word here is 'potential'. Often, when yields are high, capital growth may fall and vice versa. Break Clause - A term in a fixed term tenancy agreement which allows either or both parties the right to terminate the agreement prior to the end of the term. Such a clause should always apply to both Landlord and Tenant or it may be deemed an unfair term of contract. Cashback Mortgage - You receive a lump sum or a percentage of your mortgage in cash when you complete your mortgage. These are very rare. Charge - An interest in the ownership of a property; usually a mortgage or some other debt secured against the property. Check-in -This is the process of moving a tenant into a rental property for the first time. The check-in process should include an inventory which describes in detail the condition of the property prior to the tenant moving in. Check-out - This is the process of moving the tenant out of the property and includes making sure the property is being returned in the same condition as it was originally let to the tenant at check-in. Completion - End of the purchase process. The seller moves out, the buyer moves in and ownership is transferred once the money is paid to the seller. Contents Insurance - Insurance against accidental damage or theft of all moveable contents, including furniture, appliances and soft furnishings. Contract - A document that describes the agreement under which the property will change hands. Contract Race - This occurs when two parties have made an offer on the same house, usually at the same price. The vendor will sell to whichever party exchanges contracts first. All parties must be aware that more than one contract has been issued. Conveyancer - A person other than a solicitor who may conduct the conveyancing. Conveyancing - The process of transferring property from one party to another, usually managed by a solicitor or a licensed conveyancer. Credit Search References - References requested for a tenant applying for rented accommodation. Many agents and individual landlords use external companies who will contact the applicant’s employer, landlord and also check out the tenant’s credit history and search public records, providing a report on the prospective tenant’s financial suitability to rent. Debt Consolidation - The process of combining outstanding debts e.g. loans, credit cards etc, into one loan. Deeds - Legal documents that show who owns a property or piece of land. Defective Lease - A badly drafted lease. If this is serious, the vendor may have to obtain a deed of variation getting the freeholders permission to change the original terms of the lease. This can be a lengthy process as it may affect other leaseholders. Deposit (sales) - Sum of money which the buyer puts down to secure the mortgage loan after exchange of contracts, usually 5 to 10 per cent of the purchase price. Deposit (lettings) – A sum of money usually equal to 4 – 6 weeks rent to ensure a tenant complies with the terms of their tenancy agreement. Deposit Protection Schemes - These government-backed schemes ensure your tenants will get their deposit back if they: meet the terms of your tenancy agreement; don’t damage the property; and pay the rent and bills. Your Landlord (or your letting agent) must put the tenants’ deposit in the scheme within 30 days of the deposit being handed over. At the end of the tenancy the deposit must be returned to the tenants within 10 days of agreement on how much the tenant will get back. If you’re in a dispute with your tenants, the deposit is protected in the TDP scheme until the issue is settled. Dilapidations - Damage to a property, missing items in an inventory, re-decoration required etc, usually assessed on the check out at the end of the tenancy. Landlord’s may only seek equitable reparation subject to fair wear and tear. Direct Debit - A Direct Debit is an instruction from a customer to their bank or building society to make regular payments direct from their account. Disbursements - All the various costs for carrying out the legal work in relation to buying or remortgaging your home such as searches other than the legal costs. Discharge - Paying off a mortgage. Discount Mortgage - A discount offered by mortgage lenders to borrowers, reducing monthly mortgage repayments often for the first two or three years of the loan period. Dutch Auction - The original meaning refers to an auction in reverse, where an offer price is announced and the auctioneer gradually reduces it until a bid is made. However this meaning has been lost, and a Dutch auction now refers to the informal bidding that takes place when two or more potential buyers are outbidding each other for a property. Easements - A term given to a right which someone may enjoy over another property. These can be rights of way, drainage rights, or more likely access to a neighbour’s land in order to carry out repairs to their own property. Early Repayment Charge - A charge payable on some mortgages if they are repaid early (during an Early Repayment Charge period). The amount depends on the mortgage outstanding and the terms of the mortgage. Energy Performance Certificate (EPC) - This is a legally required assessment of how energy efficient a residential property is. It is valid for 10 years and is required for all properties which are advertised for sale or rent with certain exceptions. Enfranchisement - Leasehold Enfranchisement is simply the technical name given to the process by which tenants can, in certain circumstances, buy their freehold or acquire a new lease (often called a ‘lease extension’) from their landlords. Buying your freehold (also known as Collective Enfranchisement) under the The Leasehold Reform Housing and Urban Development Act 1993 gives tenants the right to acquire the freehold of their building. Subject to certain exclusions, tenants can exercise this right as long as at least 50% of the tenants in their building wish to proceed. The Act also gives individuals the right to a new lease (also known as lease extension or renewing a lease) and further right to tenants to acquire a lease extension of 90 years on top of the remaining length of the lease at a peppercorn rent (that is, rent free). Subject to certain exclusions, tenants can exercise this right if they have owned their flat for at least 2 years. Extension or renewal of tenancy - This is where a tenancy due to come to an end can be extended or renewed with the consent of both the landlord and the tenant. Extensions and renewals may be subject to negotiated terms such as a change in rent. Equity - The difference between the value of a property and the amount of mortgage and / or secured loans owed. Exchange of contracts - The point at which both buying and selling parties sign their copies of the contract which are exchanged by their respective legal representatives and are legally binding. The buyer usually pays a deposit at this point and the date of completion is agreed. Fair Wear & Tear - There is no legal definition of “fair wear and tear”. It is subjective and depends on a number of factors. Essentially, it is the amount of damage or deterioration that can be reasonably expected in all the circumstances. You could define it as damage caused by ageing and normal use. In the context of a residential letting, it means damage to carpets, decorations, fixtures, fittings and furniture that would reasonable by expected during a tenancy and allowing for the lifespan of the item in question. Financial Conduct Authority (FCA) - The FCA regulate the financial services industry in the UK. Their aim is to protect consumers, ensure the industry remains stable and promote healthy competition between financial services providers. Fixed rate mortgage -A mortgage where the interest rate is fixed for a specific time. It then normally reverts back to a variable rate. Fixtures and Fittings - Non-structural items included in the purchase of a property ranging from curtains to white goods and disclosed in the fixtures and fittings list. Flexible Mortgage - An arrangement enabling the mortgage borrower to overpay, and with the overpayments that have been built up, borrow money back, take payment holidays or pay less in some months. Flying Freehold - This can occur when first floor accommodation forming part of one freehold is located over ground floor accommodation forming part of another freehold. The first floor freeholder does not own the land beneath the property, and is then said to own a flying freehold. Freehold - Legal title that gives you absolute ownership of the land your property is on. Full Structural Survey - A full structural survey looks at all the main features of the property, including walls, roof, foundations, plumbing, joinery, electrical wiring, drains, and garden. Further Advance - An additional loan to your existing mortgage taken after the main mortgage has completed which is also secured against the property. Gas Safety Certificate - If you are a landlord letting a property equipped with gas appliances you need to understand and comply with the law relating to gas safety. If you let a property, you must make sure that pipe work, appliances and flues provided for tenants are maintained in a safe condition. You need to have a gas safety check every year. A Gas Safe registered engineer must carry out the safety check in your properties. You must give your tenants a copy of the gas safety record within 28 days of it being carried out or before they move in. You are also obliged to show your tenants how they can turn off the gas supply in the event of a gas leak. Annual checks: As a landlord, you are legally responsible for making sure that a Gas Safe registered engineer checks the gas appliances in your rental properties every 12 months and gives you copies of the gas safety records. Gas safety records: When your Gas Safe registered engineer has checked the gas appliances in your rental property they will give you a gas safety record. This record confirms the gas appliances have been checked and are safe. You must give your tenant a copy of these gas safety records within 28 days of the checks being done, or give a copy of the gas safety record to a new tenant before they move in. Remember, you must keep a record of each safety check for two years. Gazumping - When a seller pulls out of a sale after accepting an offer above the asking price. Often mistakenly used by people who have made an offer below the asking price and where a higher offer is later accepted. If you don't offer the asking price, you may lose out. Gazundering - A tactic whereby the buyer offers less than the agreed price just before exchange of contracts, usually at the last minute. Ground Rent - The annual fee which a leaseholder pays to a freeholder. Guarantor - A guarantor is someone who promises to pay your mortgage or rent if you can't or won't for any reason. This guarantee is legally binding. Guaranteed Rent – You receive fixed monthly payments regardless of whether the property is 'let' or 'vacant' and even if the tenant stops paying. We offer a minimum 12 month contract during which we manage every aspect of the tenancy. There are absolutely no fees, commissions or hidden extras to pay. The key difference between Guaranteed Rent and more traditional services is that it is a contractual agreement between us and you (the landlord) in which we, effectively, become your tenant. This is NOT to be confused with an insurance policy which may have excesses and limits. Higher Lending Charge - This charge is payable (usually added on to your loan) if you borrow more, for example, than 90% of the valuation or purchase price of your property. HMO - House in Multiple Occupation - This term covers many categories of housing where a house is 'occupied by persons who do not form a single household'. If in doubt, you should check with your local authority as in such cases, the property will need to be licensed if it falls into this category. Home Buyers Report - This is an intermediate-level survey which is usually offered by the mortgage lender and prepared by their own surveyor. The homebuyer's report comments on the structural condition of most parts of the property that are readily accessible, but it does not involve in-depth investigation or the testing of water, drainage or heating systems. Home Contents Insurance - A policy insuring household contents against theft and damage. Home Envirosearch - A report on detailed flood, subsidence and land contamination history for each UK neighbourhood. IFA - Independent Financial Advisor. IDD / Initial Disclosure Document - This is a document designed to assist you in comparing the services provided and the fees and charges made by lenders and intermediaries. Informal Tender - Requires competing buyers to submit their best bids by a specific time and date. It is not a legally binding contract and the vendor is at liberty to accept a higher offer at any time. Estate Agents are legally required to pass on all offers unless instructed not to do so in writing. Joint & Several Liability - Where there is more than one adult living in the property, the tenancy will say they are “jointly and severally” responsible. This means that, jointly, the tenants are liable for the payment of all rents and all liabilities falling upon the tenants during the tenancy, as well as any breach of the Agreement. Individually each tenant is responsible for payment of all rent and all liabilities in relation to the tenancy, as well as any breach of the agreement until all payments have been made in full. Joint Mortgage - A mortgage where there is more than one named individual responsible for the contract. Joint Sole Agency - This is when you employ two agents to sell your property and where both receive a commission irrespective of which one introduces a buyer. The agents agree to split the fee upon the sale of the property. The agent that sells the property usually gets a higher percentage of the fee. The ratio is pre-agreed with you and written into the agreement. Joint Tenants - A form of ownership frequently used by couples which ensures that when one dies, the property passes automatically to the other. The alternative is Tenancy in Common. Key Facts Illustration (KFI) - This document contains key mortgage information which is designed to help you compare the costs and features of different mortgages from one or more lenders. 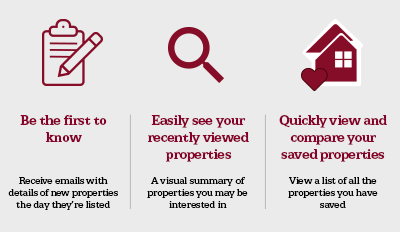 It is designed to make it easy to compare mortgages at a glance. Land Certificate - A Land Registry certificate proving ownership of a property. Land Registry - A government organisation that holds records of all registered properties in England and Wales. Land Registry Fee - A fee paid to the Land Registry to register your details if you have bought a property or changed mortgage lenders. Leasehold - To be given ownership of a property but not the land it is built on. This normally requires payment of ground rent to the landlord. Length of lease varies and diminishes with time but can be renewed or extended – see Enfranchisement. Licensee - An agreement giving the right to occupy accommodation. Licenses provide less security than a tenancy agreement. Life Assurance - Insurance which pays out on the death of the policy holder. Policies can run alongside your mortgage and will pay off all or part of the outstanding debt in the event of your death. Listed Building - A building which is listed as being of special historical or architectural interest, which cannot then be demolished or altered without local government consent. Loan to Value (LTV) - The amount of mortgage expressed as a percentage of the property value. For example, if your mortgage amount was £80,000 and your property is valued at £100,000 your loan to value, or LTV, is 80%. Maintenance Charge (or Service Charge) - The cost of repairing and maintaining external and / or internal communal parts of a building, which are then charged to the tenant or leaseholder. Maisonette - Technically a maisonette is an apartment which is on two levels, with its own separate access. Although generally properties on two levels, with or without separate access, are sometimes referred to as maisonettes. Monthly Interest - A method of calculating mortgage interest on a monthly basis. Mortgage Deed - A legal document relating to the mortgage lender's interest in the property. Mortgage Offer - Sum of money that the lender offers to lend you to pay for a property. Mortgage Payment Protection Insurance (MPPI) - This is insurance designed to pay your monthly mortgage payment for a limited period, usually a year, if you are unable to work through illness, accident or redundancy. Mortgage Term - The length of time over which the mortgage is to be repaid. Often this is 25 years - but it can be shorter, or in some cases for longer periods of time. Multiple Agency - This is when you employ the services of more than one agent. The agent that sells the property takes the whole fee. The downside is that fees will be higher and sometimes it can make your property look as if its difficult to sell when prospective buyers receive details from several sources. Additionally, buyers tend to be less confident as they are often concerned another buyer may appear. Negative Equity - When the value of the mortgage which is outstanding on the property, is more than the market value of the property. NHBC - National House Building Council. A warranty scheme for new properties providing cover against major structural defects for 10 years. Office Copy Entries - If the property has a registered title, the vendors solicitor will need to apply for office copy entries from the Land Registry before a draft contract can be prepared. Ombudsman - An independent professional body which is set up by law to help settle individual disputes between consumers and firms, for example, estate agents, solicitors and insurance companies. There are now three ombudsman schemes. Outline Planning Permission - This is planning consent which is subject to certain reserved matters, such as design, appearance and siting of proposed buildings. Portable Appliance Test (PAT) - A test in the United Kingdom by which electrical appliances are routinely checked for safety. The correct term for the whole process is In-service Inspection & Testing of Electrical Equipment. Peppercorn Rent - A nominal rent where the landlord does not receive an annual payment in cash. When the owner of land or property wishes to grant a lease, he must charge a rent as an acknowledgement of the existence of the lease. Where the owner does not want to charge any rent but simply wishes to establish the lease exists, he can ask for a peppercorn rent each year as a token payment. Planning Permission- The permission granted by the local planning authority (usually the local council) for any new building or engineering operations or change of use of a building if it meets the public's interest. Premium - The amount you pay regularly, monthly or annually, to an insurer for an insurance policy. Private Sale - Sale of a property without the use of an estate agent. Product Fee - There may be a fee involved when you apply for a mortgage. This is to reserve the mortgage and to cover administration costs. Also known as an arrangement fee. Redemption Figure – The amount required to discharge your outstanding mortgage at a fixed point in time. This will be the balance of your mortgage plus any early repayment fees or penalties which may apply. Remortgage - The process of moving your mortgage without moving home. You take a new mortgage with a different lender to pay off your old mortgage. Rent To Rent – Where a person rents a property and then sub-lets to others for a profit. Contractual arrangements may not protect parties involved and this should be avoided unless dealing with a professional, accredited agent. Repayment Mortgage - Also known as a Capital and Interest mortgage. Your monthly payments pay off the interest and some of the capital borrowed. By the end of the term of your mortgage you will have paid off all your mortgage debt. Repayment Type - How you pay back your mortgage. See Repayment Mortgage or Interest Only Mortgage. Retention - Holding back part of a mortgage loan until any repairs to the property are satisfactorily completed. Section 21 Notice The notice which must be served to end a tenancy. This can be served at any time after the deposit has been properly registered with an approved scheme but not less than 2 months before possession is required. A Section 21(1)(b) notice must be served to end a fixed term tenancy. A Section 21 (4)(a) must be used to end a periodic tenancy. In this case of a periodic tenancy, it must be served after term ends and expires following 2 mths after term ends. Example: let for 6 mths starting on 1 Jan. Term ends 30 June. Notice served 15 July. Notice expires after 30 September. Share of Freehold - Share of freehold means that when you buy a flat the lease on the property comes with a share of ownership of the building. Leaseholders in a block with several properties often choose to buy the freehold between them and so share of freehold gives them more control over the management of the property. It is important to remember that when purchasing a property with a share of free hold, the property is still a leasehold property. Sinking Fund - When you buy a leasehold property, part of the service charge may be paid into a sinking fund. The sinking fund builds up over the years to cover future projects that may be needed to repair or improve the building. The freeholder or the property management company will be responsible for the service charge management and will notify leaseholders if part of the service charge will be paid into a sinking fund. Sole Agency - Where you employ the services of one agent to sell your property for an agreed period of time. should you sell your property through another agent before your agreement with the sole agent has ended, then you may have to pay the original agent their fee as well. Likewise, the agent must respect the terms of the agreement and ensure that the service promised and agreed is delivered. If other agents approach you during the term of a sole agency agreement, they must warn you of a possible liability to pay commission to more than one agent. Sole Agency fees are lower than where more than one agent is instructed. Sole Selling Rights - This means that the appointed selling agent will be due the agreed fee, even if you end up selling your property privately or through another agent. This usually applies to development / land, new homes, auction and properties being sold by tender. Stamp Duty Land Tax - A tax you must pay on a property when you buy it. The duty must be paid at the point of completion. Statutory Periodic Tenancy - If at the end of a fixed term tenancy, neither party does anything and no further agreement is made, the tenancy will automatically run from one rent period to the next on the same terms as the preceding fixed term assured shorthold tenancy. It will continue to run on this basis until replaced by a new agreement or by one party giving the other notice. Once notice is served, it will only be effective from the start of the next period of renewal and will end on the last day of that period. The tenant will have to provide not less than 1 months notice and the landlord not less than 2 months. Subject to Contract - Words to indicate that an agreement is not yet legally binding. Settlement - caused by the weight of a new building/structure or part of it. Buildings are heavy things and, as their weight is taken up by the ground, a little movement caused by this adjustment sometimes occurs as the ground consolidates under the new load - this is settlement. It usually occurs early in the life of a building and rarely recurs, although, there are exceptions, for example, in soft clay soils. Settlement rarely causes problems, although differential settlement (differing degrees of settlement between connected parts of the same structure) can cause damage. Not to be confused with subsidence. TREES - trees extract moisture from the ground which then contracts, particularly in shrinkable clay soils, causing buildings above to move (subside). DRAINS - leaking drains can wash away or erode the adjacent ground which then partially collapses reducing the lateral (sideways) strength of the ground. The support provided by this ground will then be reduced causing any building above to move (subside). There could be movement in the ground beneath your home if you find: New or expanding cracks in plasterwork; New or expanding cracks in outside brickwork or rendering; Sticking doors or windows; Rippling wallpaper with no other apparent cause e.g. damp. Survey - A thorough report on the property you are planning to buy. This can be a full structural survey, a homebuyers report or a basic mortgage valuation. Tenants - People living in a property on a non-ownership basis. Tender - This is an arrangement whereby prospective purchasers are invited to submit sealed bids by a previously stated date and time. The moment the offer is accepted by the seller, the arrangement becomes a legally binding contract. Tenancy in Common - A form of ownership by two or more people in which, if one dies, their share of the property forms part of their estate and does not automatically pass to the other(s). Tenure - A collective term which relates to the nature of the owners title to a property i.e. is it freehold or leasehold. Title - The record of ownership of a property, the evidence of which is found in the title deeds. Tracker Mortgages - Tracker mortgage normally follow movements in the base rate set by the Bank of England. The interest rate is then set at a constant level above or below the base rate, rising and falling in line with any changes during the tracking period. This means that if the base rate falls, the amount you pay falls. Likewise, if the base rate goes up, so will your payments. Tracker mortgages tend to be for a set period of time, say five years, after which you usually transfer to a new tracker rate, or to a different type of rate altogether. Transfer Deeds - The Land Registry document that transfers legal ownership from seller to buyer. Transfer of Equity - Adding or removing a party to / from a mortgage. Under Offer - A term applied to a property for which the seller has provisionally accepted the buyer's offer subject to contract. Underpinning - In construction, underpinning is the process of strengthening and stabilizing the foundation of an existing building or other structure. Underpinning may be necessary for a variety of reasons: The original foundation is simply not strong or stable enough; The usage of the structure has changed ; The properties of the soil supporting the foundation may have changed (possibly through subsidence) or were mischaracterized during design; The construction of nearby structures necessitates the excavation of soil supporting existing foundations; It is more economical, due to land price or otherwise, to work on the present structure's foundation than to build a new one. Unlawful eviction - Eviction of a tenant from residential property by preventing them from occupying the premises for example by changing the locks. This is a criminal offence under the Protection from Eviction Act 1977 and could lead to a prison term, a fine, or both. Valuation Fee - The charge for the valuation of the property. Variable Interest Rate - Rate of interest payment that fluctuates over time with general interest rates. Vendor - The seller of a property or piece of land. Void Period – The time when a rental property is unoccupied and no rent is received – a Landlord’s biggest worry. Void periods can be negated using Northwood’s Guaranteed Rent scheme. Yield - The yield of the property tells you the annual return on your investment. The gross yield is calculated by looking at the rental income you receive as a percentage of how much the property cost. Agent’s fees and VAT can be a significant, which is why our Guaranteed Rent scheme is preferred by many landlords.